See countless elephants, lions, and more on a thrilling Okavango Delta safari! On this trip, you’ll also discover some of Africa’s best wildlife viewing in the lesser-known regions of Botswana. Enjoy Big 5 sightings on game drives, on foot, and on water. We created this Botswana Safari Tour: Peak Season Okavango Adventure for a father and daughter from Houston. They loved the outdoors and wanted to see the famous Okavango Delta wildlife, and they also wanted opportunities to get out of the safari vehicle and be a bit more active. This trip took them to the best wildlife viewing areas in the Okavango and beyond for a once-in-a-lifetime adventure! First for their Botswana Safari Tour: Peak Season Okavango Adventure, they spent 3 nights at Nxai Pan Camp, named after the fossil pans that surround it. The unique landscape is lush and green in the wet season, attracting animals who come to give birth, but in the dry season it becomes a harsh, arid environment and the wildlife action is concentrated at the few remaining waterholes. They had excellent game viewing at this eco-camp, and they loved going on guided bush walks to get a new perspective on the environment. Next, they traveled to the Okavango Delta for 3 nights at Kwara Camp. Kwara overlooks a secluded lagoon in the northern Okavango Delta, its unobtrusive structure blending into the surrounding beauty of this exclusive concession. Here, they were able to do something different with water safaris on a double-decker boat and mokoro (canoe) safaris. They had countless sightings of elephants, lions, cheetahs, giraffes, and much more. In between safari activities, they were able to lounge in their room and look out over the lagoon to watch the wildlife. Continuing their Botswana Safari Tour: Peak Season Okavango Adventure, they flew over to their last camp, Kwando Lagoon. They were surprised that they had even better game viewing here than in the Okavango Delta! Lagoon is known as the best place in Botswana to see African wild dogs, and it also boasts huge herds of elephants and buffalo, as well as large predators like lions and leopards. While here, they had a change of pace with a day of fishing in the Kwando River and a sunset cruise. At last, their incredible Botswana adventure came to an end. Having visited some of the best wildlife viewing regions in Botswana and the world, they returned home with countless photos and stories to share! Welcome to Botswana! Fly into Maun Airport and catch a connecting flight to the Nxai Pan airstrip. Your home for the next 3 nights is Nxai Pan Camp. This environmentally friendly camp faces east over the open grasslands of Nxai Pan, a salt pan that was once part of the great lake that covered Botswana. The spacious rooms offer fabulous views to the waterhole in front of camp, and have been specially designed to stay at a comfortable temperature year-round. You’ll have time for your first game drive in the late afternoon to see elephants, lions, antelopes, zebras, hippos, wild dogs, and much more in this rich environment. The next 2 days are yours to spend as you wish. Game drives depart in the morning and afternoon, but if you’d like a change of pace, you can also opt for a walking safari with a local bushman or a day trip to a stand of baobab trees, complete with a delicious picnic. In between safari activities, you can lounge in your room, watch animals at the waterhole from your private deck, cool off with a dip in the pool, and enjoy stargazing in the evening. The safari adventure continues with a short flight to Kwara Camp. In contrast to the dry salt pans of your last camp, Kwara is located in the lush Okavango Delta, where the plains are flooded each year and you can enjoy a mix of land and water safaris. Kwara is known for its consistent sightings of predators, including lions, cheetahs, and leopards. Herds of elephants also frequent the area, as well as giraffes, zebras, impalas, hippos, and on rare occasion, white rhino! 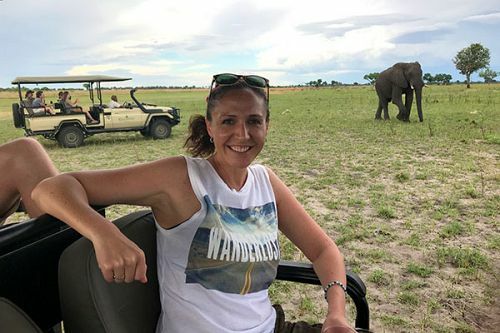 In addition to game drives in the grasslands, you’ll have the opportunity to see wildlife from a double-decker safari boat and in a traditional mokoro (canoe), which allows you to paddle right past elephants and hippos! In the evenings, you can relax around the campfire with your fellow guests and share exciting stories of the wildlife you spotted each day. 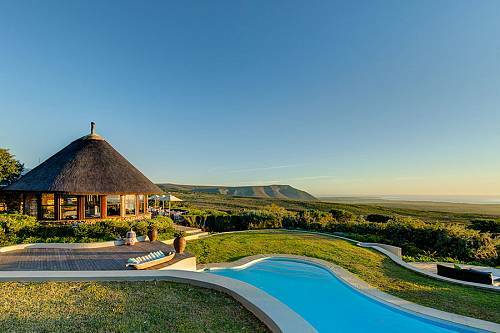 It’s on to your final safari camp, Kwando Lagoon. Lagoon is perched on the banks of the wild Kwando River, nestled beneath towering ebony and marula trees. The heavily forested site is home to a wide variety of birds and mammals, while elephants and hippos are normally visible from the camp. Here, you can relax in your warm and inviting luxury tent and take a dip in the resort’s large swimming pool. During your stay, you can enjoy day and night game drives, guided bush walks, fishing, and evening safari cruises. 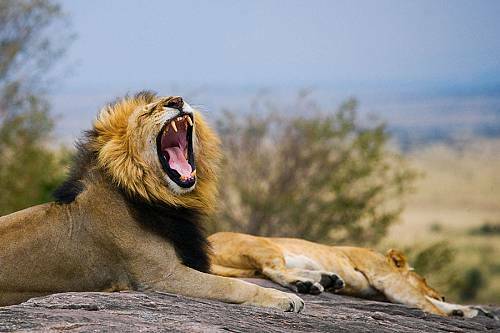 Enjoy your final 2 days on safari in Botswana. The area surrounding Lagoon has a well-earned reputation for exceptional game viewing. The area boasts large herds of elephants and buffalo year-round, but in the winter months, herds of up to a thousand are not uncommon. Large predators such as lions follow this abundant game, leading to thrilling wildlife sightings. 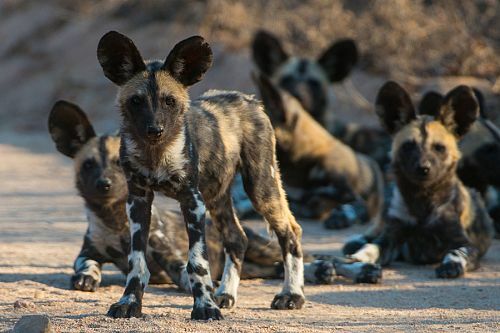 The Lagoon is also known as the best place to see adorable wild dogs in Botswana. Today, your amazing Botswana adventure comes to an end. Enjoy a scrumptious bush breakfast, then fly back to Maun Airport to begin your journey home. From breathtaking coastal mountains to luxury safari lodges to picture-perfect beaches, discover the ultimate romantic adventure in Africa! This Safari and Spa Vacation brings you to buzzing Cape Town, a luxury safari lodge, and a stunning beach resort in Mauritius.